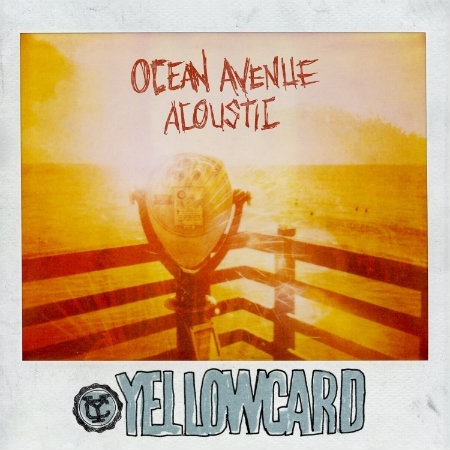 For me, ‘Ocean Avenue’ was one of those albums that soundtracked a part of my teenage years, helping me make the transition from crap like Maroon 5 to bands such as New Found Glory and Taking Back Sunday. As a result, it holds a special place in my heart, and hearing that it was being released acoustically made me very happy. After Taking Back Sunday released the anniversary acoustic edition of ‘Tell All Your Friends’ earlier this year, and pulled it off excellently, I hoped ‘Ocean Avenue: Acoustic’ would follow suit, and it does. Whilst Taking Back Sunday delivered a more stripped back, mellow (and live) approach ‘Ocean Avenue: Acoustic’ remains mostly unchanged, keeping its same energy and charm without electronic instrumentals. It stays blissfully true to the original, as if detracting from it would soil the experience some how. Listening to it was like being reunited with an old friend who’s aged but still retains that same charisma and fire that made you friends initially. ‘Way Away’ is still explosive in it’s introduction, and remains so. The song, and album in general ooze nostalgia and class, and I connected with it the same way that I did all those years ago. It never strays from the original and chooses to embrace it fully. The entire thing sounds acutely familiar in the best way. Violins take more of a front seat on this version as is expected of an acoustic album, shining through on songs such as ‘Breathing’ and ‘Empty Apartments’. ‘Ocean Avenue’ is still an excellent song, with a little more spirit and charm, and I couldn’t help but smile whilst listening to it. Listening to these songs was definitely a trip down memory lane, which I feel was the bands intention, by keeping so closely to the original. The track listing remains the same and as a whole the album flows beautifully. ‘View From Heaven’ is pretty much identical to its past version and remains equally poignant. The albums original ‘acoustic’ tracks follow this trend and remain the same, but sound ‘fresher’ in a sense. ‘Believe’ is a personal favourite, whilst ‘Back Home’ is still an excellent closer, and summaries everything good about the release. Key’s vocals are still finely tuned and he suits the instruments playing behind him. The piano ballad of sorts ‘One Years, Six Months’ is a great example of this, bringing in a number of elements like dual vocals to make up a truly beautiful song. Guitars and drums provide the energy, being delicate and fast when appropriate. Most of all you get a sense that the album means something to everyone who contributes musically. It’s played with passion, even after ten years, and it’s a testament to how much Yellowcard actually care and cherish their position. ‘Ocean Avenue: Acoustic’ is the sound of a band that loves what they do, and love the album that allowed them to do it on such a large scale. This is the same album that you know and love, and the change it has undergone is excellent and welcome. It loses none of its original impact through the re-imagining, and if you love the original as fondly as I do then ‘Ocean Avenue: Acoustic’ will not disappoint.